The children who arrived from the overcrowded conditions in London brought with them a tradition of playing in the streets. The new environment of the estate with its clean, car-free roads, greens and open spaces was "like heaven" for them and many people have shared their happy memories of an idyllic childhood with us. Most of the games that we played as children had seasons. There seemed to be no set rhyme nor reason - just one day we would be playing marbles, the next day it would be hoops, kites, or anything else. Then what we were playing would just suddenly disappeared and something else would take its place. Some things like conkers were of course linked to a time of year, and some games were played at anytime like kites, marbles, five stones, whips and tops and paper aeroplanes. We had much freedom as youngsters, we could play in the street as cars were few and far between. When clear of the occasional car we played football using the drains as goal posts and can recall a few of the neighbours not liking this, if the ball went into their garden we had to get it back quick for if they beat us to it we would be without a ball for many days. Another game we played was cannon using lollie sticks leaned against the kerb and throwing a tennis ball from the other side of the road to break them down, marbles in the gutters was also a firm favourite, just imagine the risks these days. We also played knock down ginger where you would knock on the door and run away, if you were brave you would hide behind the privet hedge and once they had shut the door you would creep back and knock again, this time you made sure there was distance between you and the householder. Go carts using pram wheels and a wooden body were also popular with races being held in the street or using the hills in local parks. Opposite our house was a large oak tree this was a great tree to climb and my friend John Cummings and I would often venture into its branches. one day as we were climbing we stretched up to get a better grip only to find we had put our hand into a load of stag beetles, you've never seen two boys get down a tree so quickly. 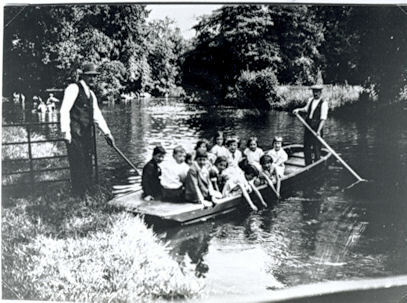 As youngsters we were allowed to venture far and wide, during the summer holidays we would often leave home early in the morning and not return until later that evening, places visited included Rosehill park (tree climbing and run outs), The Field (opposite St Helier hospital), Poulters park, The Angel park, The Goat bridge, Mitcham common (collecting golf balls and riding bikes) and The Grove park (many an hour spent fishing for stickle backs using cotton and a bent pin). 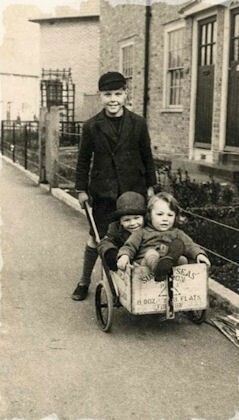 My mum moved to St Helier in 1934 when she was 8. 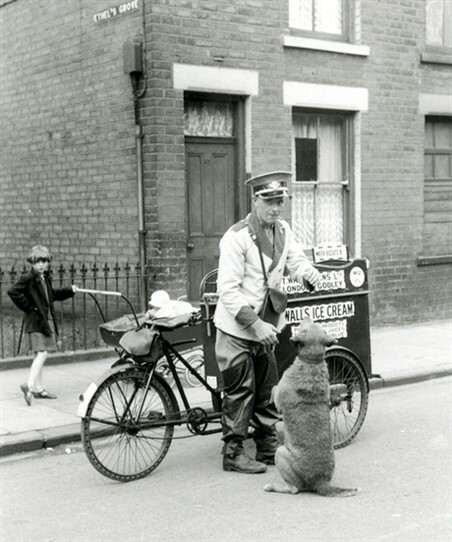 She said that although there were lots of areas of grass you weren't allowed to play on them, a man from the council used to ride around on a bicycle and shout at them to get off the grass, as soon as someone spotted him they would shout "Man from the council coming!" and they would get off the grass then go straight back on it when he'd gone. She also remembers playing on a pylon, her and her friend had seen a film with someone standing on an aeroplane, they climbed a little way from the bottom then stretched out an arm and a leg and pretended they were on a plane. 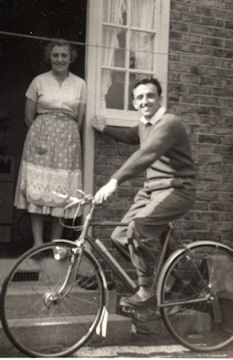 A lot of the estate was still being built when she got there and her younger brother used to play on the building sites, he drank water from the builders standpipes even though he was told not to, he ended up with typhoid. Conkers was just called Conkers, Conkers, being the fruit or seeds of the Horse Chestnut Tree which we would walk miles to find, Conkers ended up having a hole made in the middle by a nail or skewer, then a piece of string was passed through the hole, a knot was tied and you were ready to go, Conkers had a mythology all their own, it was believed that if you soaked them in vinegar, baked them in the oven or fire they would become much harder and therefore more likely to win, the game consisted of first playing a selection game usually chin chan choller, known in north America as scissors and paper, or tossing a coin if you had one, to see who would go first, then the loser would hold his Conker so it was dangling be low his hand, the attacker would then hold his Conker between his fingers with the flat of his hand facing towards his body and away from the other Conker, while applying as much pressure to his string which was between his fingers, he would then swing it downwards so his Conker struck the other Conker a mighty blow, if the other Conker broke, the winner would become a oner, or if the vanquished Conker had defeated other Conkers say 6, it would have been a sixer when you started , so the winning conker in this instance would assume those victories and become a sevener , if the Conker did not break then you would take turns until one did, if the strings got tangled on the strike you had to shout strings, or as it was pronounced (stringys,) if you managed to shout first you got another go, if not your opponent got to go, these rules were strictly adhered too, it was also considered bad form to prematurely age your Conker by baking it etc but most did, not being willing to wait for the Conker to age naturally which would take at least a year, so you had to be careful with the baking for if a Conker showed signs of interference, then you were entitled to refuse a challenge without being branded a coward, sometimes there would be two Conkers in the same pod (Twins if you like,) this was great as the pressure made them flat on one end, so viewed from the side they looked like two triangles with rounded tops, these were known as cheese cutters and were much sort after ,being great Conker busters when hardened. I seem to remember that some serious conker players would soak theirs in vinegar? Supposed to make them harder. Can't remember where we used to collect the conkers from? Were there chestnut trees in the Woods next to the Green Wrythe Lane school?